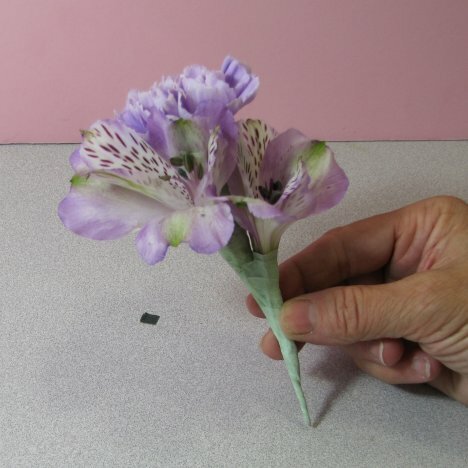 A side view of this lavender boutonniere shows both stems parallel to each other before taping them together. 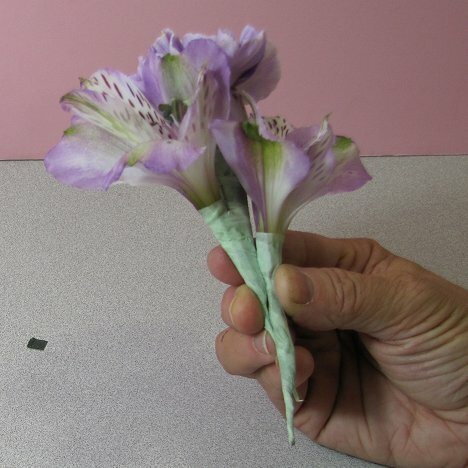 I started taping the two flowers together right below the alstroemeria head. 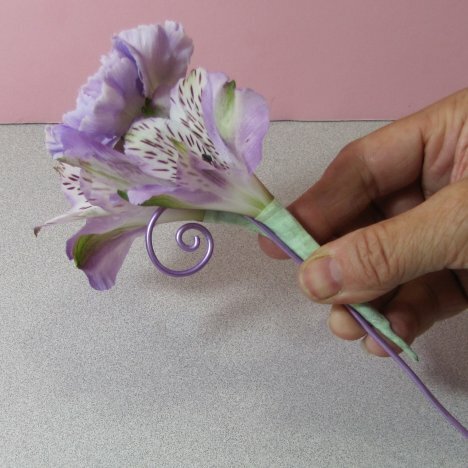 I cut off the wire extending below the carnation in order to keep the boutonniere stem as slender as possible. 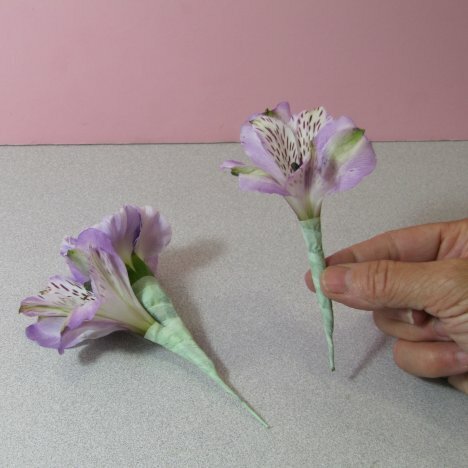 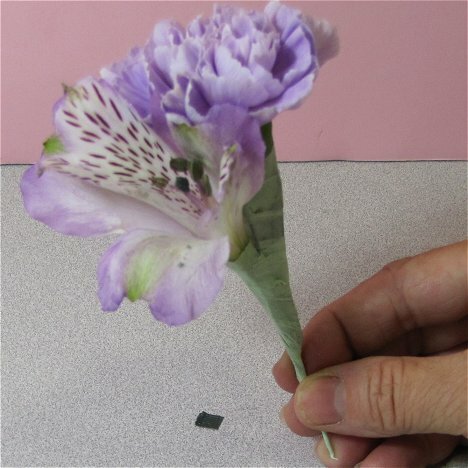 I'm making this into a 3-bloom boutonniere by adding one more alstroemeria. 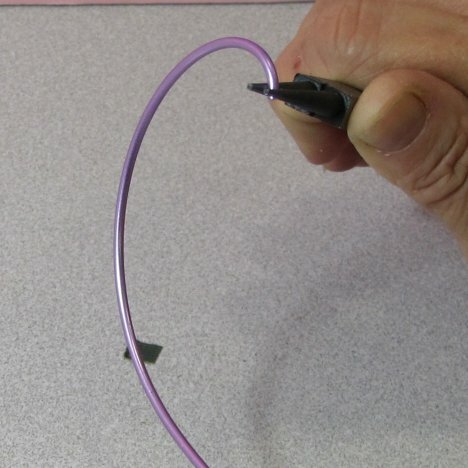 Wire and tape as shown previously. 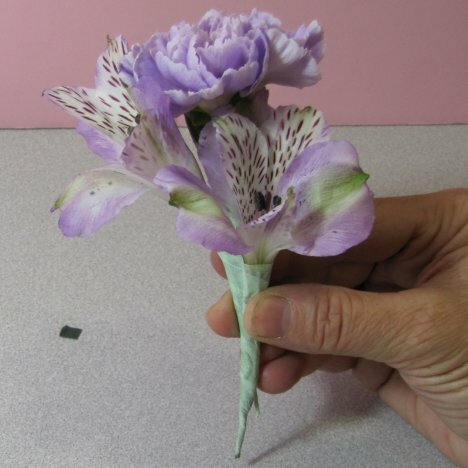 This third flower head is going to be bent slightly forward so that the head faces directly to the front when viewed on the tux lapel. 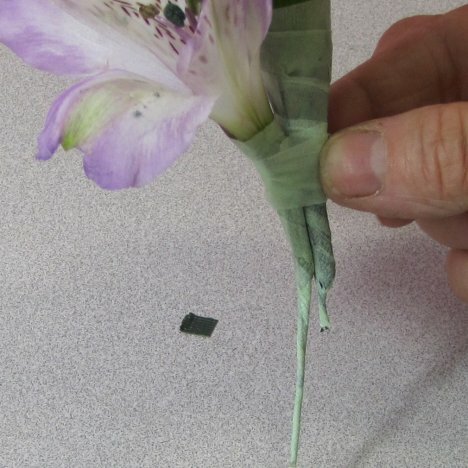 Here's a side view showing how I pressed the stem of this last flower directly against where the other two flowers are taped together. 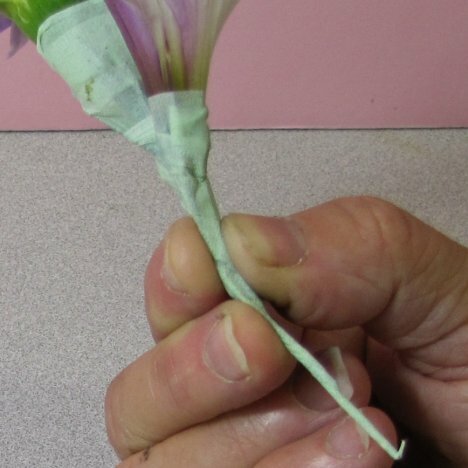 Start taping high, directly under the 3rd flower head all the way down the stem. 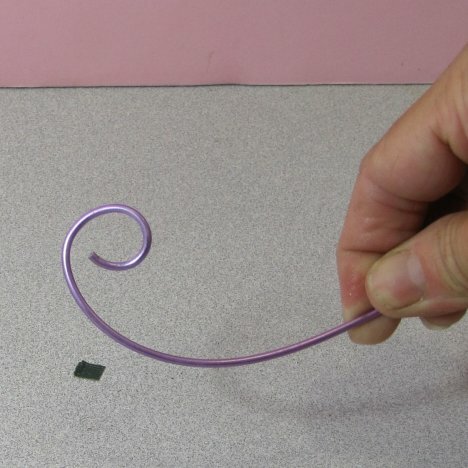 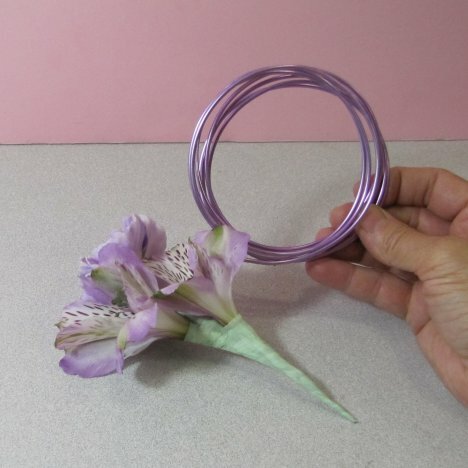 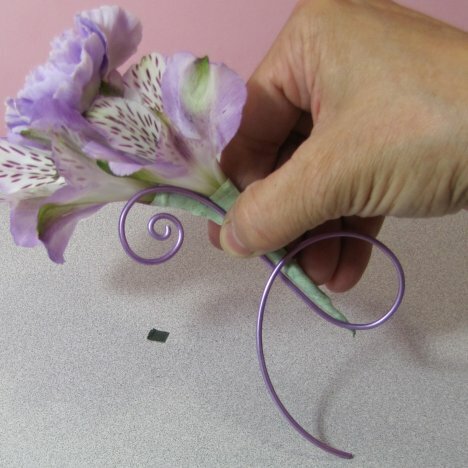 Snip the bottom of the wire off cleanly if needed and cover the raw ends with flower tape. 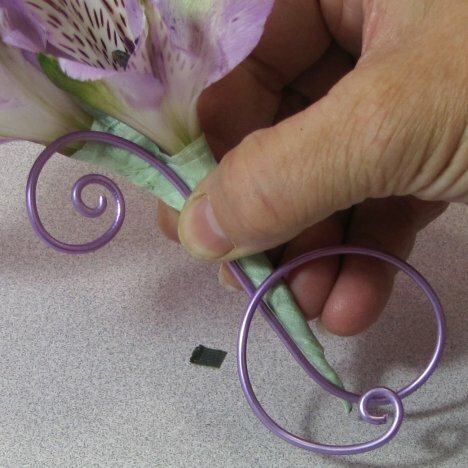 Don't miss out on the versatility of Oasis flat wire and Oasis metallic wire. 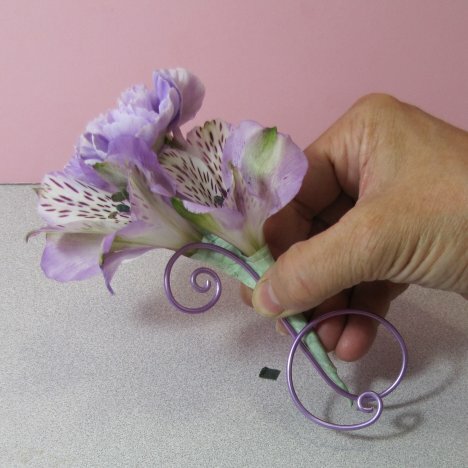 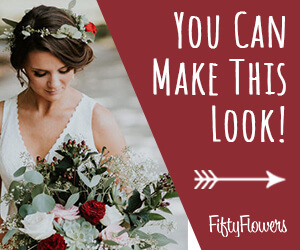 They are an amazing way to add color and interest to any boutonniere or corsage.